Oh my goodness, when will this be added? 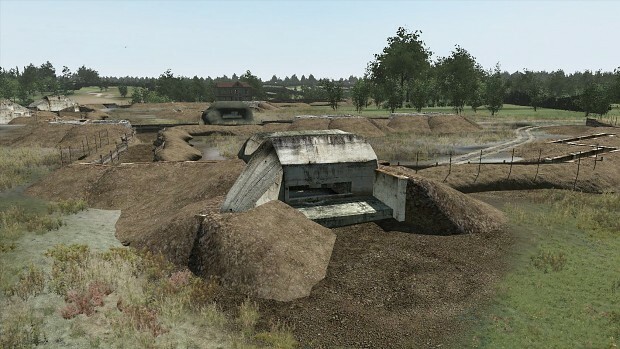 In the past we've had to depend on mission placed objects to create our trench systems, but Pac has recently implemented a lovely little set of concrete trenches by Biiskaps that were sitting around gathering dust, textured them up and created a few extra little floor pieces to get rid of that pesky grass. Then with a lot of zooming in on scans of his authentic Omaha defense map, tried to match as closely as possible with our resources the defensive layout of the 'Wiederstandneste' (Resistance Nest) stations that line the coast (WN61, and WN62 so far pictured here with a few more to build). This should give players and mission makers a lot more to play with, and hopefully more interesting enemy behavior too.